NCO Mock-Test Regi. : 10th, 11th, 12th & 13th Jan. It is an ideal opportunity to familiarize you with the exam pattern and contest with a huge number of All India Contestants. The Mock Tests are akin to the Main exam pattern and thus will give you a fair idea of your preparation level. You can focus to work upon your weak areas, time management after attempting these Mock Tests. 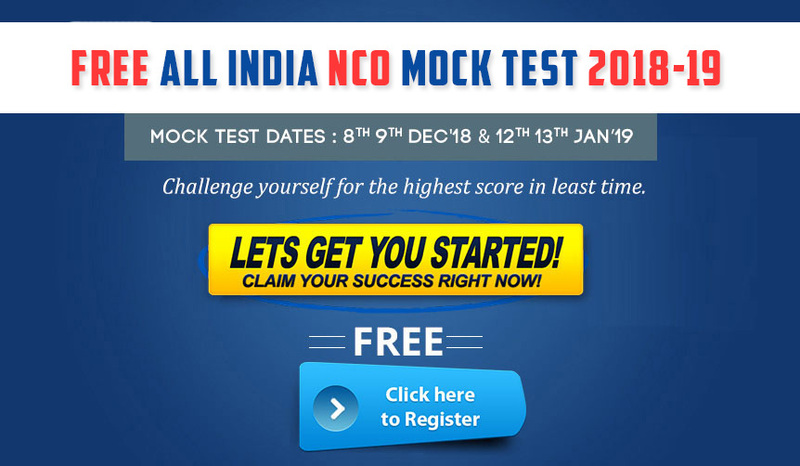 More than 1 lakh students expected to participate in All India NCO Mock Test! Winners will get Rs. 999 wallet money in their SOF Olympiad Trainer wallet, which they can redeem against their purchases on SOF Olympiad Trainer, valid till 31 Oct. 2019. This contest will make your Olympiad Preparation exciting and worthwhile.